Fisherman's Wharf has been added to your itinerary. Start off your visit on the 20th (Sat): take a leisurely stroll along Fisherman's Wharf. 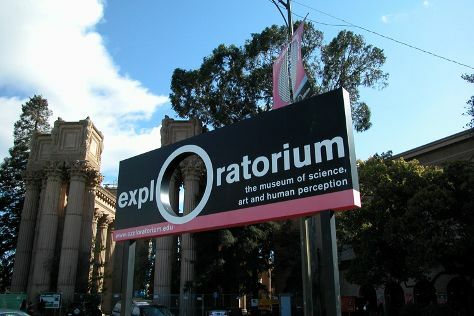 On the 21st (Sun), you'll have a packed day of sightseeing: engage your brain at Exploratorium and then wander the streets of Union Square. For reviews, other places to visit, ratings, and more tourist information, read our San Francisco trip builder . Expect a daytime high around 67°F in April, and nighttime lows around 51°F. Cap off your sightseeing on the 21st (Sun) early enough to travel back home.